An exhibition devoted to the best supporting actors of the fashion world –the cotton, silk, lace, whalebone and elastic underwear that has for centuries smoothed detested lumps and scaffolded desirable curves – is to open next spring at the V&A museum in London. 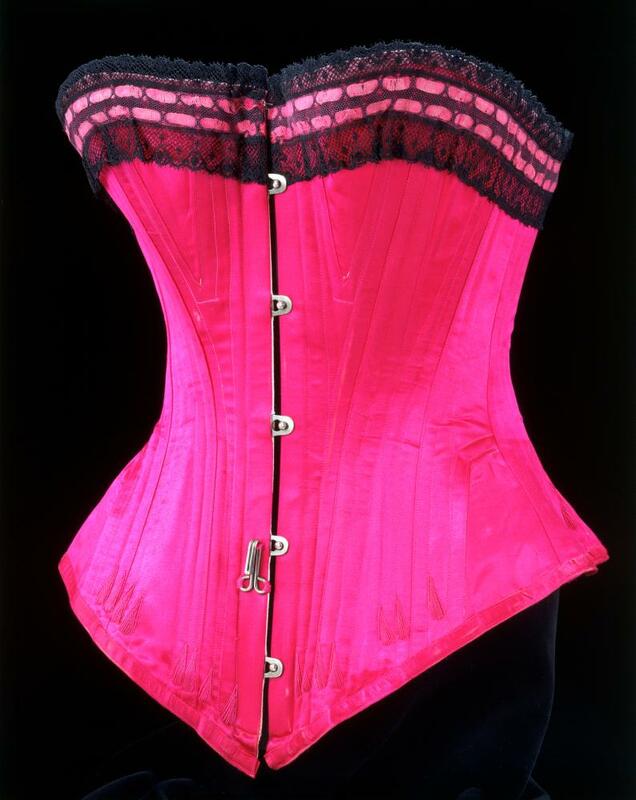 Among the exhibits of Undressed: A Brief History of Underwear is a fuchsia corset trimmed with black lace, which could be worn by any contemporary burlesque star with a small enough waist but dates from the 1890s; and a belt designed to create a more svelte waistline worn by a groom on his wedding day in 1842. The show, curated by Edwina Ehrman of the V&A textiles department, features famously exposed underwear, such as Vivienne Westwood’s figleaf embroidered, flesh-coloured tights and David Beckham’s H&M pants, recently parodied by the former footballer on James Corden’s Late Late Show. There is also a completely sheer, silver dress by Liza Bruce worn by Kate Moss in 1993, accessorised with a small pair of black pants and a cigarette; and a dress worn by Gwyneth Paltrow in 2009, designed by Antonio Berardi, which evoked the look of a corset while revealing her actual underwear. The fashion for clothes resembling underwear has a long history, which includes a simple 1911 evening dress by Paul Poiret that was a silk slip, and a 1996 John Galliano for Givenchy embroidered muslin dress with matching lace knickers. Although the exhibition will feature an ample pair of long cotton drawers worn by Queen Victoria’s mother, vanity figures more prominently than modesty or comfort. A 19th-century whalebone corset designed to reduce a waist to below 19 inches will be shown beside x-rays and illustrations showing the consequences of such constriction on women’s bodies. A more contemporary corset described as “waist training” and endorsed by Kim Kardashian also features. Many of the 200 pieces were made for the luxury market, including floral embroidered stockings worn by Queen Alexandra. A pair of silk chiffon camiknickers – made for a wedding trousseau in the 1930s, presumably for a country sports enthusiast – are decorated with a hunting scene in lace, complete with horses and jumping fences, hounds and a runaway fox. More poignantly, and much rarer, are the pair of stays made by a poor woman in the 18th century, and an austerity corset made from paper during the first world war. The exhibition shows how the enormous skirts fashionable among the wealthy in the 18th century were supported by elaborate hoops or, later, crinolines and bustles, including an ingenious collapsing model making it easier to sit. And fashions are cyclical: the exhibition includes a 2013 Dolce and Gabanna dressthat features a large cage crinoline. As the fashion in shapes changed, so did the underwear, as revealed by the self-explanatory AussieBum for men, and push-up padded bras for women. But eventually even the most fashionable have to relax and let it all hang out. By the 1920s embroidered pyjama suits were no longer confined to the bedroom, and a pink Juicy Couture tracksuit from 2004 continues the comforting line from catwalk to slumped on the sofa.